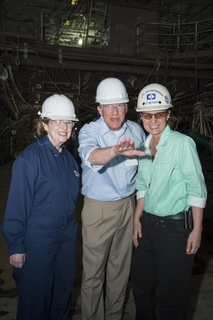 PASCAGOULA, Miss., May 27, 2015 (GLOBE NEWSWIRE) -- Huntington Ingalls Industries (NYSE:HII) hosted Sen. Roger Wicker on Tuesday for a tour of the company's Ingalls Shipbuilding division. Wicker visited various areas of Mississippi's largest private employer, including the amphibious transport dock John P. Murtha (LPD 26). "The world is a volatile and often dangerous place," Wicker said. "America's armed forces require the best technology and tools available to complete their missions. Ingalls workers meet those challenges every time, producing the world's most sophisticated ships. State-of-the-art work in Pascagoula has enabled our troops to keep America the strongest and most well-equipped military power on the globe." Wicker met with shipbuilders at various locations throughout the yard, including the final stop at John P. Murtha, the 10th ship in the San Antonio (LPD 17) class of ships. 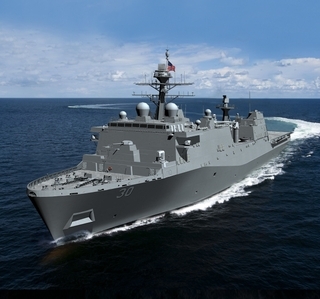 "It is always an honor to host the political leaders of Mississippi, and today we demonstrated to Senator Wicker everything we are doing to build quality military ships at the most affordable price," said Ingalls Shipbuilding President Brian Cuccias. 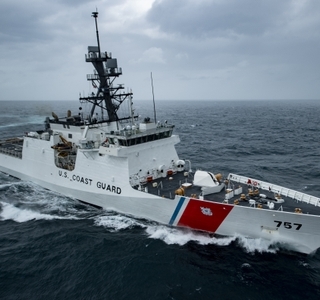 "Ingalls is a national asset and is the only shipyard in America building four different classes of military ships simultaneously. I applaud Senator Wicker for taking time to visit our shipyard and see the progress on these projects firsthand."